Everything in the garden was wonderful between God and man. But once sin same in there was a problem, but God does not give up on us. God made a way through His Son Jesus Christ for us to come back to God. 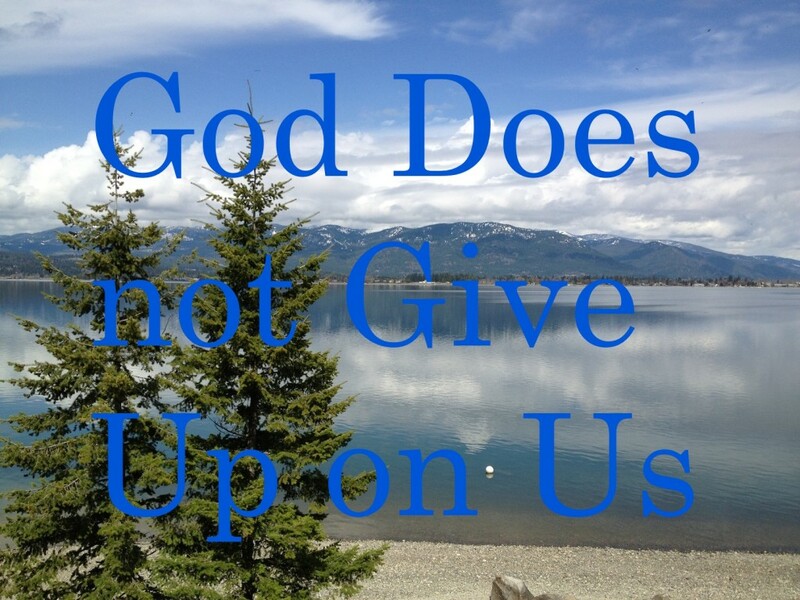 God never gives up on us. God loves us, He cares for us. God is thinking about us every day. We were created for a purpose, and God does not loose sight of that purpose. He cares so much that He sent His Son Jesus Christ. This entry was posted in Daily Devotions, Devotional Video, Encouragement, Faith, fellowship, Hope in God and tagged connect with God, fellowship with God, God does not give up, God has his way, God is able on October 7, 2014 by Drew Haninger. This entry was posted in Encouragement, How to Pray and tagged God is able, He is able, Jesus is able on April 15, 2013 by Drew Haninger.